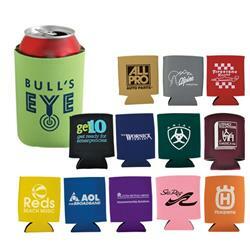 Terrific tradeshow koozie giveaway. On sale at 500 or more pieces. 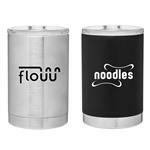 These can coolers are lightweight, inexpensive and keep your drink from loosing the fizz and cool so quickly. Need it rush? No problem! 2nd side imprint at no additional charge. Actual size flat is 4"h x 4"w. FREE 2 DAY RUSH PRODUCTION AVAILABLE. ON SPECIAL NOW! Production Times Available: FREE 2-DAY RUSH PRODUCTION AVAILABLE! Standard 5 to 7-day production with a paper proof. 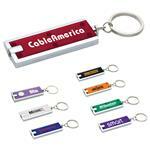 Dimensions: Actual size flat is 4"h x 4"w.
Typical Imprint Area(s): 3" h x 3.5"w each side. One color silk screened imprint, 1 or 2-sided. Standard ink or Puff imprint available. Multi-color imprint available. 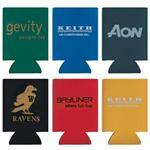 Multi-Color Imprints can shift up to 1/16"
Light weight scuba foam can cooler. Folds flat. Koozie.